Sides may not be the star of the meal — but they do a shining performance cast in a supporting role! 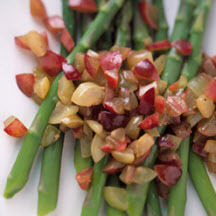 CooksRecipes has hundreds of quality, kitchen-tested recipes for side dishes that you can count on for deliciousness. Find side dishes made with all types of fresh and canned vegetables, fruits, beans, white potatoes, sweet potatoes, rice, pastas and whole grains. 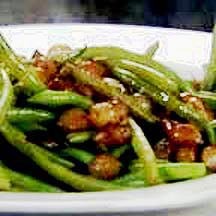 Fresh green beans and frozen pearl onions are simply seasoned with butter, a touch of balsamic vinegar and dried thyme. 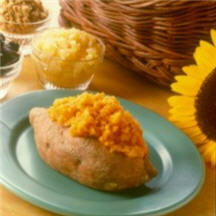 Baked sweet potatoes stuffed with an ambrosia mixture of nuts, coconut and fruit.